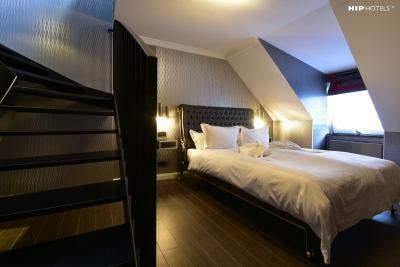 Lock in a great price for Humboldt1 Palais-Hotel & Bar – rated 8.6 by recent guests! Actually I didn't like anything. 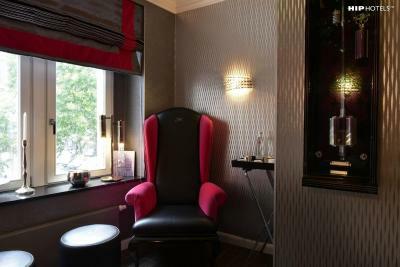 One has, however, to consider, that this hotel is very different from a "typical hotel" in several aspects. Therefor, those who like such set-up, may come to a completely different appraisal. 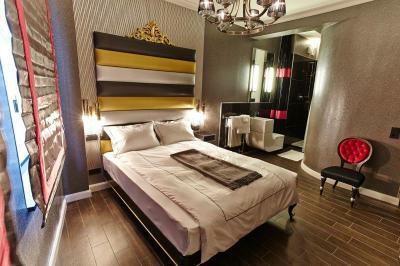 The rooms are very "stylish" which might be a "pro" for some people. So, not considering this as positive, just reflects my individual liking. Das Frühstück war sehr gut. Man konnte sich auch Speisen frisch zubereiten lassen. Insbesondere das Frühstückspersonal war sehr freundlich. Die Lage war sehr gut. Superfreundliche weltgereiste Inhaberin. Wunderbare Bar. Sehr schöne Innenarchitektur. Tolle Geschichte. Molto particolare l'arredamento, buona la posizione, molto gentile e disponibile la sig.ra Anja. Io sono arrivato con molto anticipo (la mattina alle 8,30) ma ho avuto ugualmente la camera immediatamente. Molto bello anche il bar della struttura dove fare colazione. 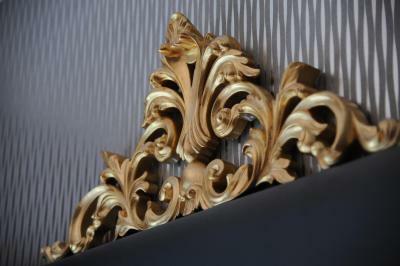 In diesem Boutique-Hotel herrscht Liebe zum Detail. Ob die Tapete, Gebäck neben dem Bett, das Frühstücksgeschirr oder ein unaufgefordertes Reichen eines Espressos von der Besitzerin - perfekt! Vieles ist in Fussnähe zu erreichen, die U-Bahn direkt gegenüber. Aamiaispalvelua emme hyödyntäneet, koska lähellä oli useampia kahvila-konditorioita. Sijainti oli erinomainen. Rauhallinen sijainti lähellä ydinkeskustaa. Die Hotelbesitzerin war sehr nett. Besonders bemerkenswert war, dass sie extra für uns ein veganes, glutenfreies leckeres Frühstück serviert hat, was für Hotels nicht unbedingt selbstverständlich ist. Umso schöner war, dass es für sie selbstverständlich war die Wünsche ihrer Gäste zu erfüllen. Auch unser Zimmer war stilvoll eingerichtet, sauber und wir hatten eine eigene Sauna. 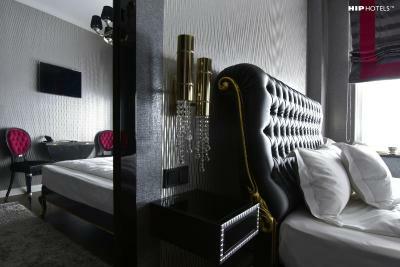 Set in a historic building the heart of Cologne, this owner-run hotel offers rooms with designer furnishings and free WiFi. 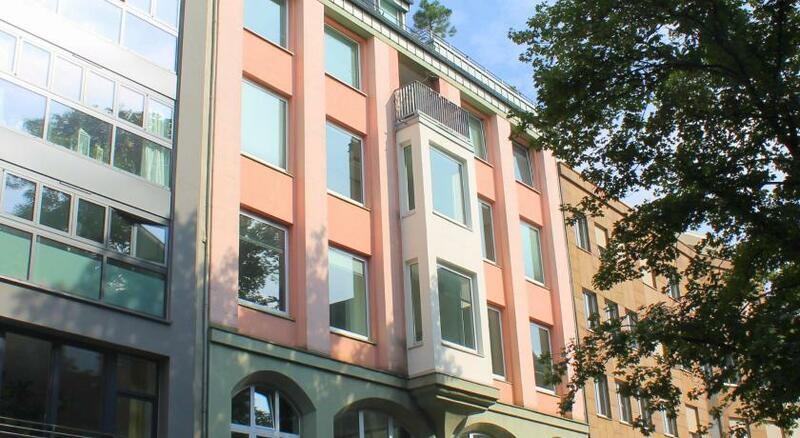 It lies just 1,650 feet from the famous Cologne Cathedral. 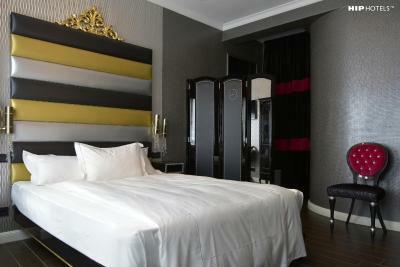 The individually decorated rooms at Humboldt1 Palais-Hotel & Bar all include a flat-screen TV with satellite channels. 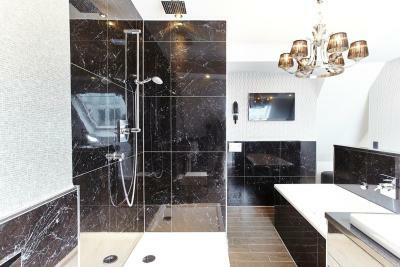 Each has a open plan bathroom fitted with black marble features. 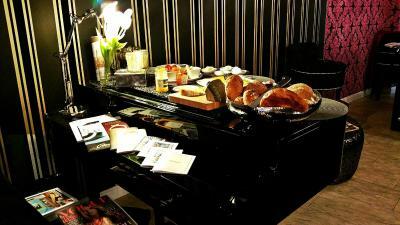 A rich breakfast buffet is available every morning and in the evenings drinks can be enjoyed at the Humboldt1 bar. A variety of restaurants and cafes are within a 2-minute walk. 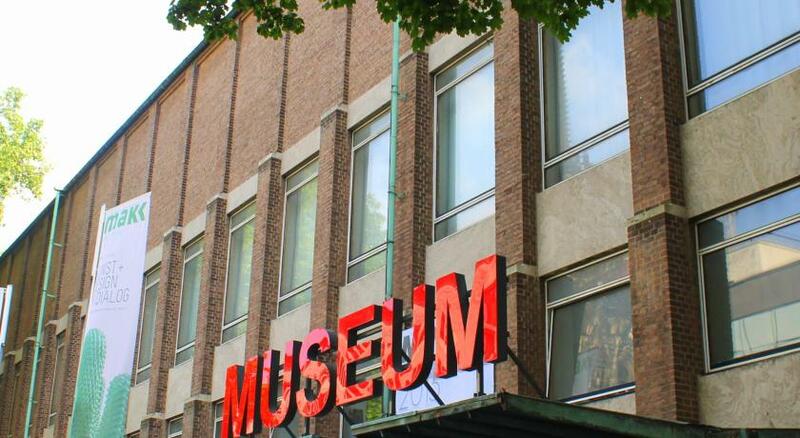 Cologne’s pedestrianized shopping district is 1,500 feet from the hotel, while the Museum of Applied Arts is 5 minutes’ walk away. The Cologne Trade Fair is 1.6 mi from Humboldt1. Cologne Main Train Station is 2,300 feet from Humboldt1 Palais-Hotel, and the A57 motorway is 2.5 mi away. Cologne/Bonn Airport is a 15-minute drive. 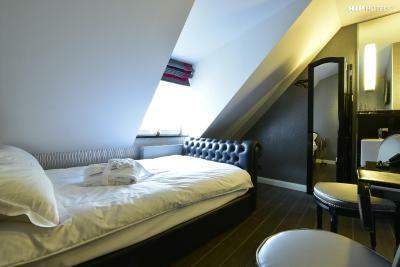 When would you like to stay at Humboldt1 Palais-Hotel & Bar? 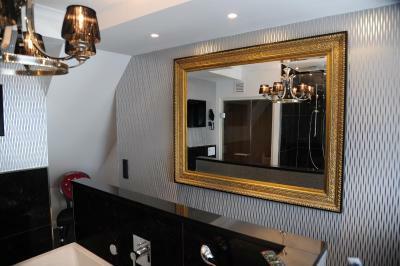 This individually decorated room features designer furnishing, a flat-screen TV, and open plan bathroom. Public parking is available at a location nearby (reservation is not possible) and costs EUR 2 per hour. 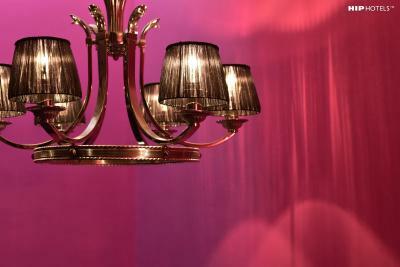 House Rules Humboldt1 Palais-Hotel & Bar takes special requests – add in the next step! Humboldt1 Palais-Hotel &amp; Bar accepts these cards and reserves the right to temporarily hold an amount prior to arrival. Humboldt1 Palais-Hotel & Bar accepts these cards and reserves the right to temporarily hold an amount prior to arrival. 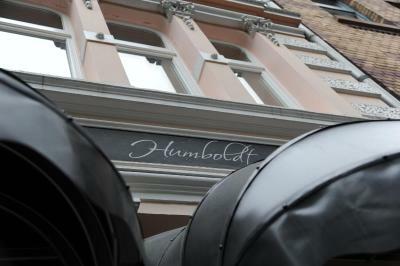 Please inform Humboldt1 Palais-Hotel & Bar of your expected arrival time in advance. You can use the Special Requests box when booking, or contact the property directly using the contact details in your confirmation. The entrance is difficult to find because it is very imposingly hidden between entrances to residential buildings. 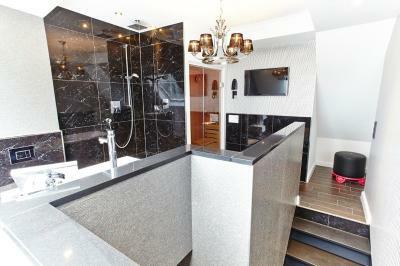 There are very narrow and steep stairs to the second floor with the reception and one room. Above are three, maybe four, other floors, with 2 rooms, each. The toilet is practically not separated from the hotel room. There is just an app. 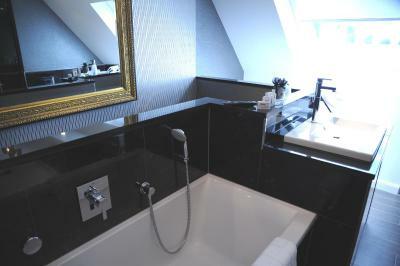 1 m high folding screen between the toilet and the bed room. the beds make noises if one moves. There is no Air Condition. The rooms must be very / extremely hot, when it is hot outside. Consideration important aspects as mentioned above, the conclusion is, that this hotel is "very special", This should have may be attractive for some people, but for sure not for the waste majority. What I dislike most is, that none of the very specific conditions is mentioned in the hotel description. This is neither fair nor professional.